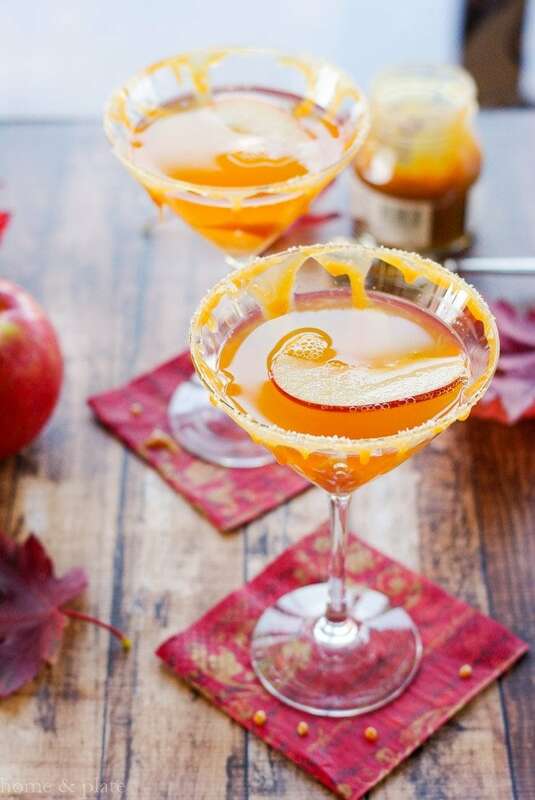 This Salted Caramel Apple Martini tastes like fresh picked caramel dipped apples. It’s so delicious! Celebrate happy hour this fall with a cocktail for the season. A trip to the apple orchard wouldn’t be complete if you didn’t bring home a bushel of apples and plenty of apple cider to share. After all, that apple cider is an essential ingredient in my Salted Caramel Apple Martini. So while the kids were making caramel apples the adults were enjoying salted caramel apple martinis. 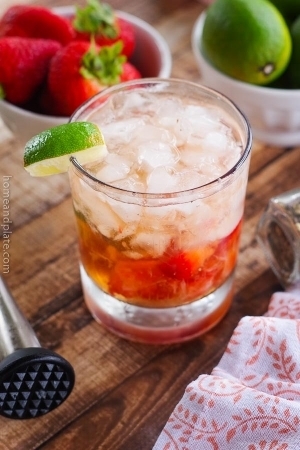 This cocktail is super easy to concoct. 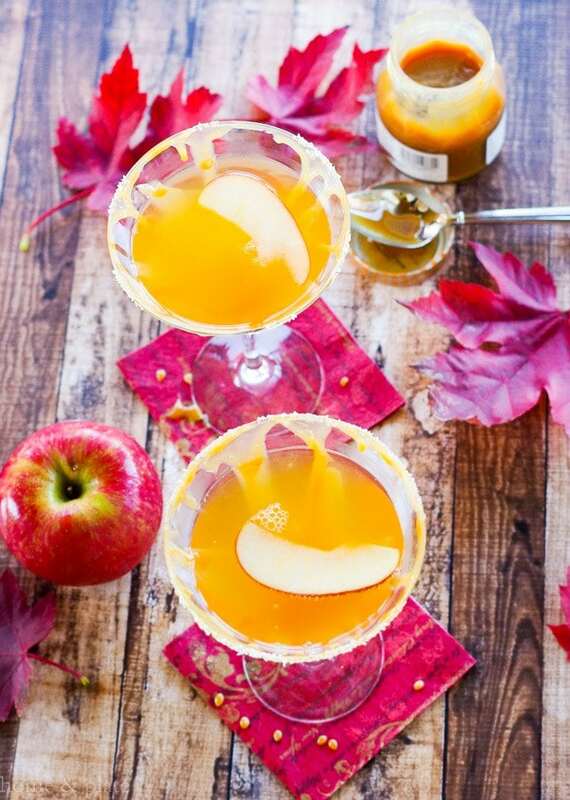 Fresh apple cider and caramel flavored vodka make up this fabulous fall drink. If you don’t have an apple orchard in your area, most grocery stores carry freshly pressed apple cider in their produce department. A quick trip to the liquor store and you’ll find many different brands of caramel flavored vodka to choose from. Chill your martini glasses with ice water before drizzling salted caramel topping on the inside and the rim of your glass. I also added a bit of kosher salt to the rim for that sweet and salty taste. Kosher salt is not just for margaritas! Four simple ingredients are all you need to make this happy hour favorite. Vodka. Not just any vodka will do. Pick up a bottle of caramel infused vodka, like Smirnoff or Pinnacle brand vodka. Cider. The fresh stuff that you find at the local farmer’s market or even in the produce department of your local grocery store in the fall. Caramel. I have a favorite caramel topping and it’s really the best dipped on apples so why not in your favorite cocktail. Salt. Kosher salt is what you’ll need to coat the rim of your glass. 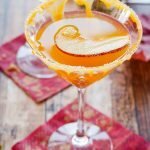 These Salted Caramel Apple Martinis taste like fresh picked caramel dipped apples and are delicious! Celebrate happy hour this fall with a cocktail for the season. Fill each martini glass with cold water and ice cubes. Spoon enough caramel topping onto one plate to rim your martini glasses. Add enough kosher salt to another. 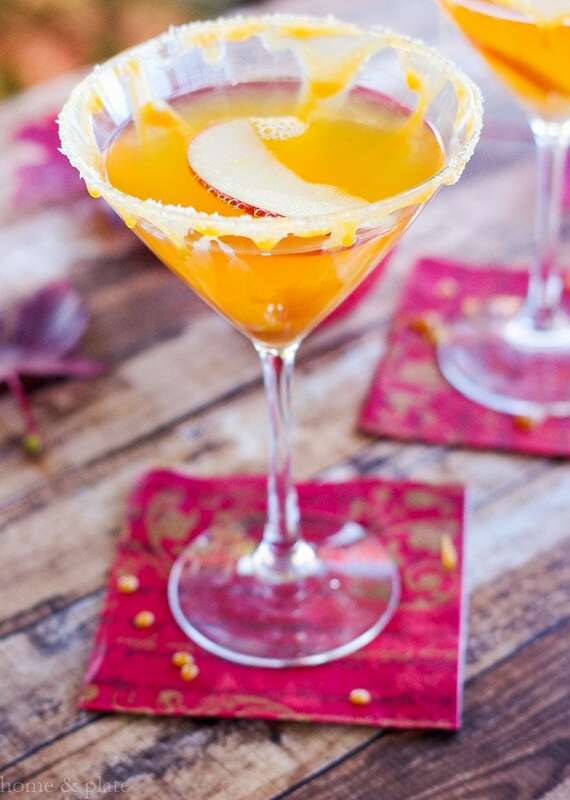 Dump the ice water from each martini glass and drizzle the inside of each glass with caramel sauce. Coat the rim of each martini glass into the caramel and then lightly into the kosher salt. Fill a cocktail shaker with ice and mix together the cider and vodka by shaking well. Pour the cocktail into each glass and serve. I LOVE this so much!! 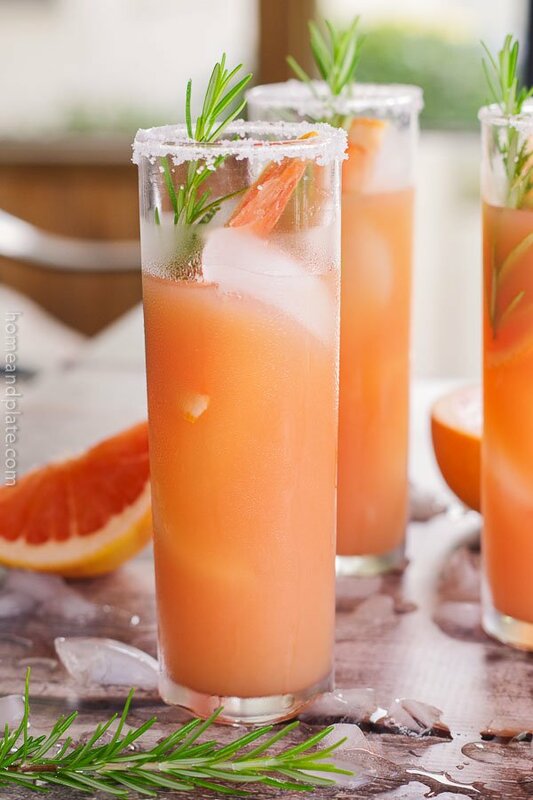 The addition of salt on the rim – GENIUS!! Salty and sweet! It’s delicious. Oh my goodness! This martini sounds delightful! 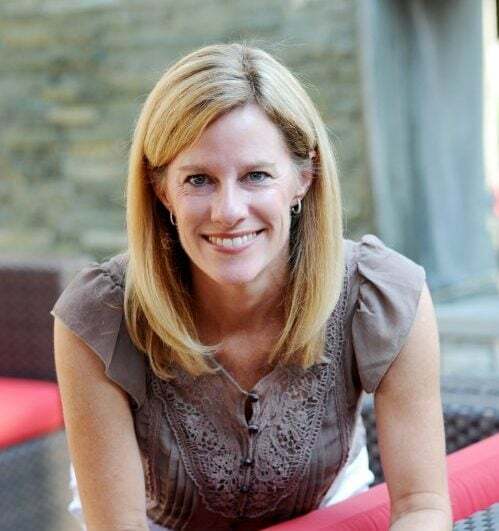 Thanks Marye….perfect for happy hour. Yup…they do. Also whipped cream and other sweet flavors. It’s amazing what they have now a days. These are gorgeous! I think I need to try making my own caramel infused vodka, but that will need to go on next month’s to-do list. Thanks Kathy. Let me know how that goes. I’ve never really made my own flavored vodka but it sounds wonderful. This is just what parents need to survive Halloween. Looks better than any candy! YEP, I want this on Halloween! heck, I want this right now 😉 CHEERS! What a lovely looking cocktail! I’ve never tried caramel infused vodka but I’m going to pick up a bottle so I can make these soon. Thank you so much Nicole for featuring my cocktail in your round up. I will definitely check it out. I’m always looking for a fun fall drink.